Meteor over house ( and 3 planes). Canon 6d (modified), single 30 second exposure, Samyang 14mm lens @f2.8, 3200 ISO. 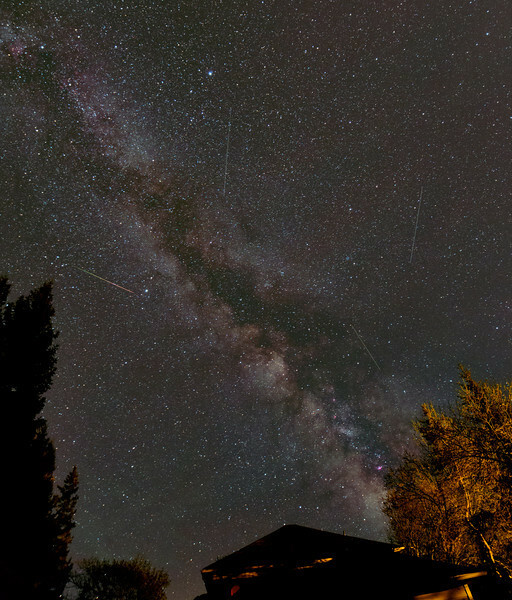 Image taken by Lynn Hilborn, Grafton, Ontario, May 24,2014 at 2:27am.